Blogger mail from benefit popped through my letter box last week and I was super excited when I unwrapped 'Gimme Brow,' Benefits new 'it kid' on the brow block. Costing £17.50 the product is a brush on fibre gel which you can use to shape, thicken and set your brows. It comes in two shades: Light/Medium and Medium/Dark- both of which I was kindly sent. For me, the Medium/Dark suits my brows better than the light gel. I found Gimme Brow extremely easy to use. The tapered brush is absolutely tiny, meaning you can be really precise with it. Having never used a brow gel before, I was sceptic, but the gel looks far more natural than I imagined and you can control how much product you want to use, as it is build-able. 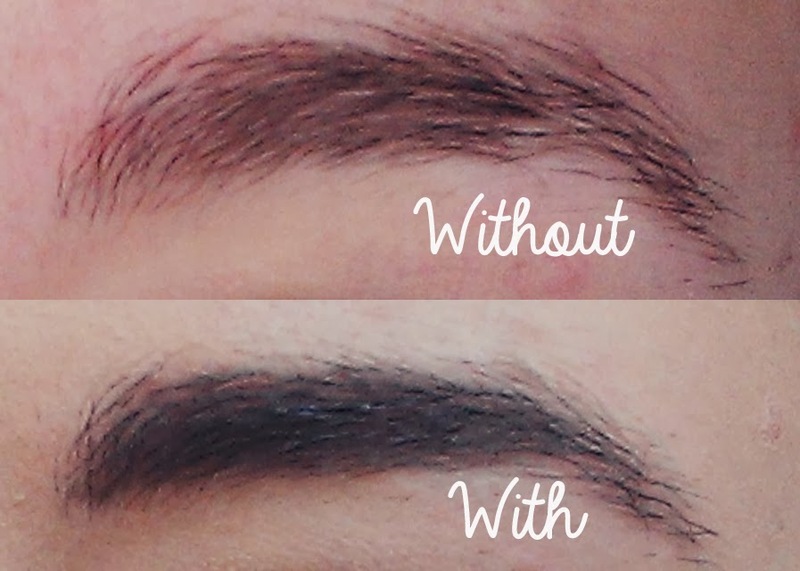 This means you can continue applying product until you have Cara brows, or stop after one application if you are more of a fan of a lighter brow look. I found the gel long wearing- it lasted for a long day of filming youtube videos under hot lights, and water resistant when I splashed my face with water. I would definitely say 'Gimme Brow' is worth the money, and I will repurchase it when it runs out. My only gripe is the limited colour range- but this can be solved by mixing together the two shades to get your perfect shade. Congratulations Benefit on another truly innovative product!